A good tasset belt does more than protect your legs. Consider these Dark Lords Tassets. Not only are they an effective pair of upper leg protectors, but their spiked look also serves to make any warrior look that much more intimidating. This tasset belt is made entirely from high quality 9-10 oz. leather, which makes it a great defense in LARP combat, while also making it light and easy to wear for other situations, like for theater battles or costume wearing. The tasset belt consists of two leather plates that are connected at the center via a metal ring and fastened around the back. Each tasset plate hangs down to protect the upper leg and thigh, while featuring a series of riveted leather plates, all brown in color and affixed together with silver and bronze rivets. The center of each tasset plate features a pair of decorative spikes, which makes a delivered knee that much more deadly and a warrior look that much more fearsome and frightening. The spikes on this armor are crafted entirely from high quality foam, similar in nature to what is used in LARP weapons, ensuring that, while the spikes look realistic, they are safe for touch and impact. 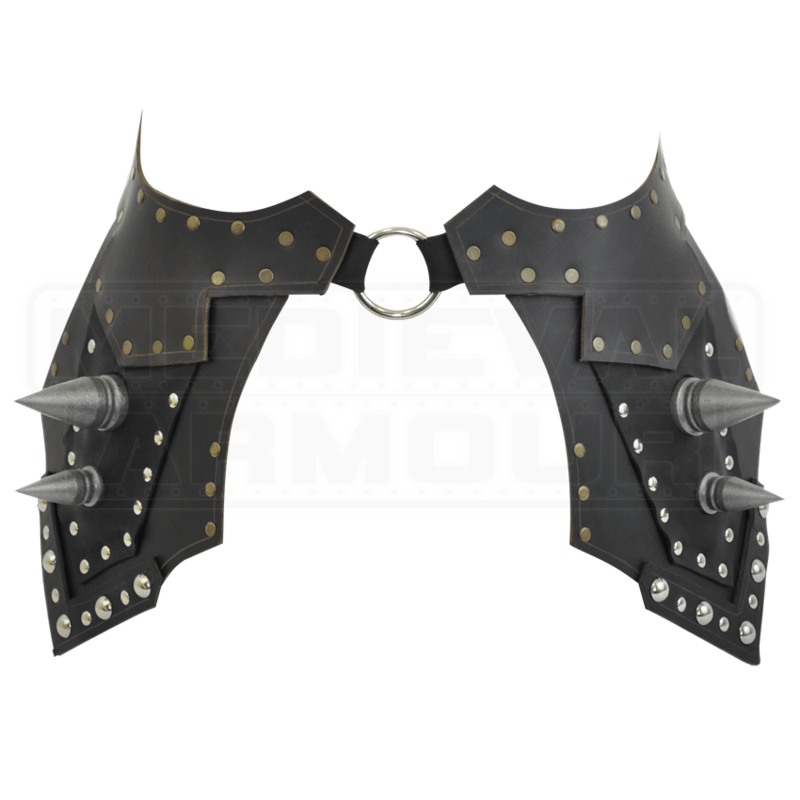 This tasset is a perfect complement not only to our Dark Lord Armor, but also to a wide assortment of different armors that might benefit from a more intimidating profile And there is no better way to get that intimidating look then to add a few spikes to your attire, now, is there? 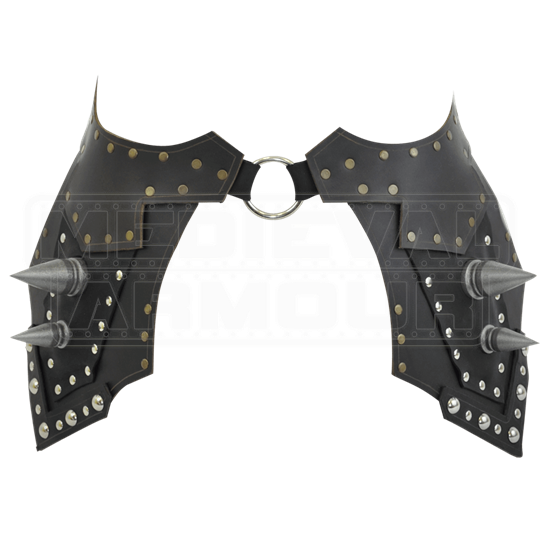 So when you really want to look your most frightening, consider adding in these Dark Lords Tassets to your armored look and see how much they enhance your style.